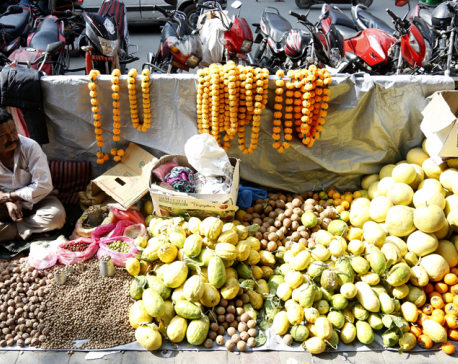 KATHMANDU, Oct 11: Nepal Chamber of Commerce (NCC) has said that price of dry fruits won't go up this Tihar. Devendra Bhakta Shrestha, secretary of NCC, said dry fruits prices will remain more or less the same. “Customers will not have to pay more for dry fruits for the Bhai Tika festival,” he added. He also added that as dry fruit is seasonal business, its prices are unlikely to increase in the main season. “If dry fruits remain unsold, it will remain in stock of traders for a year. 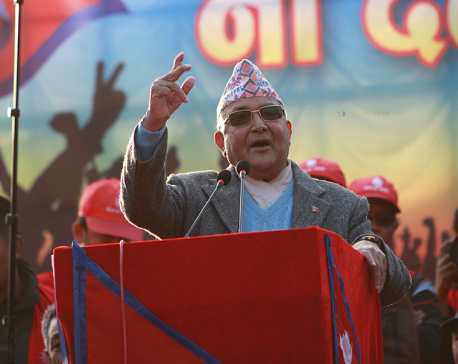 That is why I don't think there will be artificial price hike,” Shrestha added. Demand for dry fruits hits the peak in Tihar festival as women offers these delicacies to their brothers during the Bhai Tika festival. Though the representative body of private sector says that price of dry fruits will not increase, past trends show that price of dry fruits increases during Tihar festival. The wholesale price of cashew nuts at present is Rs 1,600-1,800 per kg depending on quality, according to Nepal Retailers Association. Likewise, almond is available for Rs 1,000-Rs 1,100 per kg and walnut at Rs 250-400 per kg. Similarly, dry coconut costs Rs 325-375 and pistachio is available for Rs 1,200-1,300 per kg. According to the association, raisin and date palm are available in the wholesale market at Rs 300-350 and Rs 100-140 per kg respectively. Raj Kumar Shrestha, general secretary of Nepal Retailers Association, said price of dry fruits will increase only if its import price goes up. “If wholesales raise price, retailers won't have any option but to increase price,” he said, adding that some traders, however, might increase price to make some fast bucks in the festive season. Nepal mostly imports walnuts from Kashmir (India), cashew nuts from India, raisin from India and China, date palm from Pakistan, almond from the US and dry coconut from India, according to the association.